DESCRIPTION – EROS-1102 Antique Blue - Organza Ribbon With Satin Edge 5/8 Inch x 25 Yards. 100% Nylon. DESCRIPTION – EROS-1102 Black - Organza Ribbon With Satin Edge 5/8 Inch x 25 Yards. 100% Nylon. DESCRIPTION – EROS-1102 Brown - Organza Ribbon With Satin Edge 5/8 Inch x 25 Yards. 100% Nylon. DESCRIPTION – EROS-1102 Coral - Organza Ribbon With Satin Edge 5/8 Inch x 25 Yards. 100% Nylon. 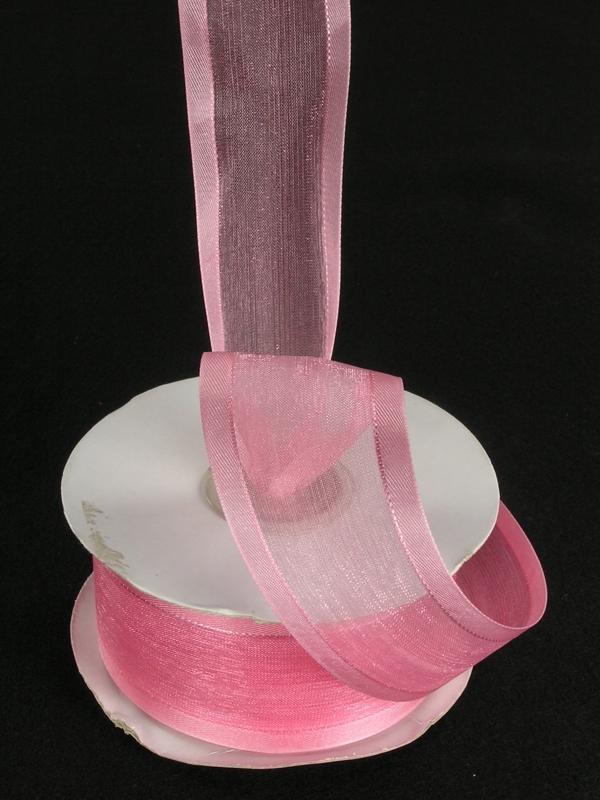 DESCRIPTION – EROS-1102 Flamingo Pink - Organza Ribbon With Satin Edge 5/8 Inch x 25 Yards. 100% Nylon. 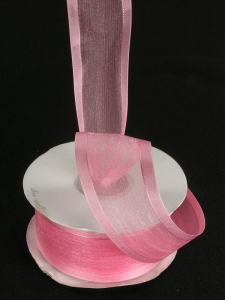 DESCRIPTION – EROS-1102 Fuchsia - Organza Ribbon With Satin Edge 5/8 Inch x 25 Yards. 100% Nylon. DESCRIPTION – EROS-1102 Gold - Organza Ribbon With Satin Edge 5/8 Inch x 25 Yards. 100% Nylon. DESCRIPTION – EROS-1102 Ivory - Organza Ribbon With Satin Edge 5/8 Inch x 25 Yards. 100% Nylon. DESCRIPTION – EROS-1102 Lavender - Organza Ribbon With Satin Edge 5/8 Inch x 25 Yards. 100% Nylon. DESCRIPTION – EROS-1102 Light Blue - Organza Ribbon With Satin Edge 5/8 Inch x 25 Yards. 100% Nylon. DESCRIPTION – EROS-1102 Light Coral - Organza Ribbon With Satin Edge 5/8 Inch x 25 Yards. 100% Nylon. DESCRIPTION – EROS-1102 Light Pink - Organza Ribbon With Satin Edge 5/8 Inch x 25 Yards. 100% Nylon. DESCRIPTION – EROS-0508 Mint- Organza Ribbon With Satin Edge 5/8 Inch x 25 Yards. 100% Nylon. 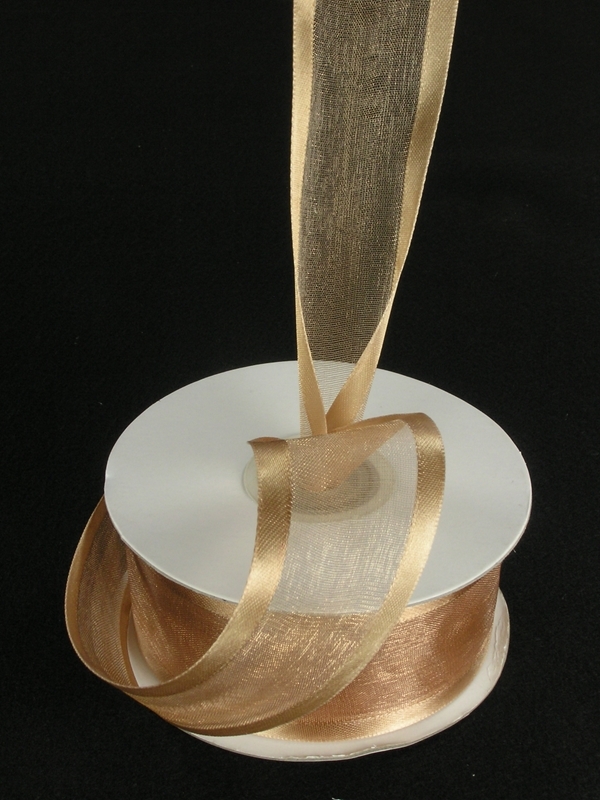 DESCRIPTION – EROS-0508 Old Gold- Organza Ribbon With Satin Edge 5/8 Inch x 25 Yards. 100% Nylon. DESCRIPTION – EROS-0508 Orange- Organza Ribbon With Satin Edge 5/8 Inch x 25 Yards. 100% Nylon.